Like you, specialist business broker, Dean Demeyer understands what makes a business thrive – good relationships built on open communication. With over 3 decades of experience in Business Advisory Services, Business Consulting and Executive Coaching, and most importantly, real-life, in-the-trenches business experience, Dean’s view of business is quite unique. His distinctive skills are a fusion of Chartered Accounting, including national awards for Marketing, Business Consulting and Entrepreneurship, and the shared philosophy with Finn Business Sales that ‘people come first’. Dean is known for his practical and effective communication style that allows him to connect with business Sellers, business Buyers and their respective advisers, on all levels. 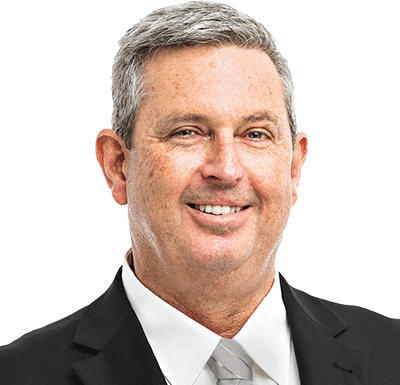 A proud Tasmanian, Dean provides business owners with peace-of-mind as he guides them through a complex process of selling and buying businesses. He has both bought and sold dozens of businesses, including his own. You will find him to be very personable and highly professional, and driven to achieve your ultimate outcome.